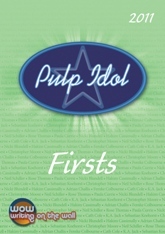 Launch of the competition anthology for Pulp Idol 2011 on Wednesday. Will be available in paperback and for Kindle from then. Names out of a hat for readers on the night and mine came out, so I’ll be reading from the edited and slightly reworked first chapter of Hinterland. It’s being held at Studio 2, Parr Street, Liverpool, L1 4JN – 6.30 to 8.30. Further details here on Facebook.